Locator of Boghead Farm, Lumsden. 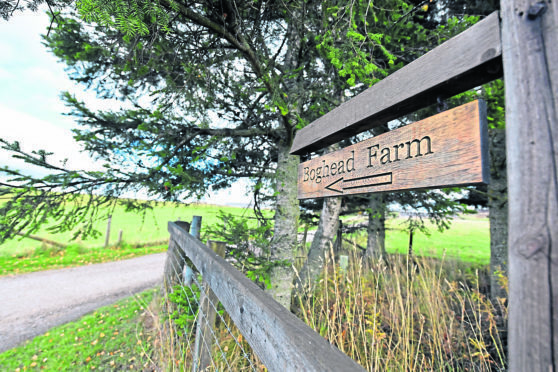 Thomas Jackson, of Boghead Farm in Lumsden, between Huntly and Alford, last night said it was “heartbreaking” to discover one of his five-year-old pedigree Aberdeen Angus cows had tested positive. It is the first confirmed case of mad cow disease in Scotland for a decade. It was discovered as part of routine testing carried out when any cow over the age of four dies on a farm. In a statement, Mr Jackson said: “This has been a very difficult time for myself and my wife and we have found the situation personally devastating. He said four other animals – the offspring of the cow and others – had now been identified and, as a purely precautionary measure, will be slaughtered and tested. “Again we are fully co-operating with all the parties with regards to this,” added Mr Jackson. The Scottish Government said movement restrictions will remain in place at the farm until the end of next week while further investigations are carried out to identify the origin of the disease. Officials have stressed there is no risk to public health, and the case shows the surveillance system is working effectively. However the case means Scotland’s BSE risk status has been downgraded from negligible risk status to controlled risk status – the same as in England and Wales. Risk statuses are applied in reference to how long a country has been free from BSE. The move back down to controlled risk status is likely to cost the Scottish red meat industry at least £5million. Last night, a government spokesman said the Animal and Plant Health Agency was carrying out investigations to determine whether the disease had occurred as a result of a genetic mutation, or if it was caused by an outside source. 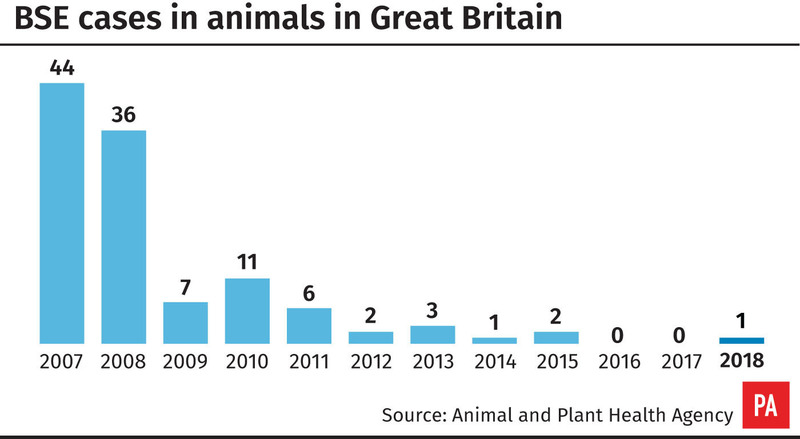 Scotland’s chief veterinary officer Sheila Voas said she believes the disease was not transmitted, and occurred spontaneously in the affected animal. But she warned it could be several months before investigators can say for certain. She said: “All the information we have is this is under control, there’s no reason for people to panic. The British Veterinary Association (BVA) urged any farmer with any concerns to seek veterinary advice.